La noire de./Black Girl’ (1966) follows young Senegalese nanny with high-hopes who travels to the Antibes with her white employers. Upon arrival in France, her relationship with her employers deteriorates as they subjugate her to the role of an all-purpose housemaid. 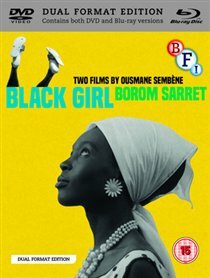 Sembène’s directional debut, the short Borom Sarret, was the first ever indigenous black African film. An allegorical tale exploring poverty and inequality, it follows the difficult life of a hard-up cart driver in Dakar.